With over 40 curated releases showcasing the best in African and international cinema from over 16 countries, the second edition of the Joburg Festival wrapped up after a successful 9-day run in Rosebank this past weekend. Following an amazing week of film screenings in Alexandra, Braamfontein, Soweto, Sandton, Maboneng and Rosebank, the festival offered an opportunity for over 2000 local and international creatives to network through its Film Industry programme produced in partnership with Discop Africa. The festival concluded on Saturday evening with an awards ceremony to celebrate the among the films in competition. 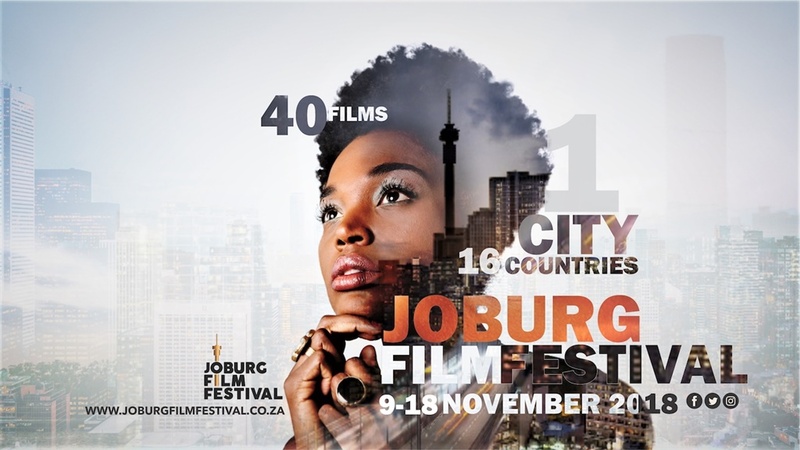 The 2018 Joburg Film Festival films in competition was overseen by a team of world class jurors. They included industry giants Nadia El Fani, Pervaiz Khan, Sara Blecher who deliberated over some of Africa’s top films, finally settled on splitting the Nguni Horn between two films this year. Both features, one a documentary and the other a feature film, share a commonality of immersing the viewer into the unknown to creating awareness. The two top features selected were ‘Freedom Fields’ by Nazhia Arebi and ‘The Day I Lost My Shadow’ by Soudade Kaadan’. ‘We have a watched a wide range of great movies that have made us almost jump out our seats but ultimately we decided that we had to split the prize’ stated the juror post the announcement and added ‘These two prize winning films demonstrate that although filmmaking is not becoming any easier, filmmakers continue to make cinema that can be powerful, informative and inspiring’. ‘Freedom Fields’ recently premiered at the Toronto International Film Festival, is a film about hope and sacrifice in a land where dreams seem a luxury. The documentary follows a courageous and determined group of women in Libya who against all odds pursue their passion for playing football. While struggling to gain cultural acceptance, the film is a mix of everyday life in a very uncertain political climate. Through their difficult journey we see a country in turmoil and transition. The film gives a deeply personal insight into the lives of these extraordinary women. This is Nazhia Arebi’s second film. Having picked up the Lion of the Future Luigi De Laurentiis Award for a Debut Film earlier this year at the Venice Film Festival, this epic feature ‘The Day I Lost My Shadow’ is set in 2012 Damascus. A desperate mother goes in search of a gas bottle so that she can feed her 8-year-old son. Her journey takes her through a world of uncertainties, conflict, hopes, hunger, death and callous betrayal. What keeps her going is her determination to return to her son. The use of the hand-held camera transports us into the centre of a brutal zone. The film gives an insight into how war slowly and imperceptibly steals the humanity of those who live through it. This is Soudade Kaadan’s first feature film.